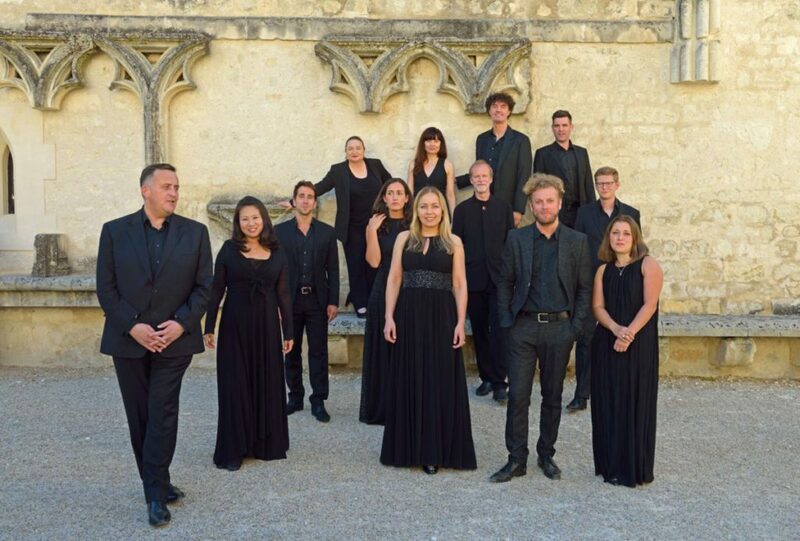 The artistic and social ambitions of Collegium Vocale Gent require continuous investments that can not all be financed by subsidies and public revenue. Collegium Vocale Gent can only keep up the artistic values thanks to the support of many music lovers. Your financial support enables Collegium Vocale Gent to grow and stay on top of the world. You can make plans possible for a strong artistic future and help realize our social and artistic goals. Patrons are thus more than welcome! We are delighted to offer you different formulas to support the Collegium Vocale Gent. Becoming a friend of Collegium Vocale Gent means becoming part of an active, passionate community that gets a deeper insight into the ins and outs of the singers and musicians. Patrons go a step further in their engagement and pay an extra donation on top of the membership fee. You receive the Collegium Vocale Gent digital newsletter every month. As one of the first you will receive the new seasonal brochure from Collegium Vocale Gent. You receive a minimum of 20% discount on the concerts organized by the Collegium Vocale Gent itself. You will be invited to a Friends drink at most concerts in Ghent, Antwerp, Bruges and Brussels. You will receive the concert brochures from organizers such as De Bijloke Music Center, AMUZ, deSingel, Concertgebouw Brugge, Bozar. You receive the Friends Newsletter 4 times a year so that you are the first to be informed of the new projects or the most interesting offers. You will also be kept informed of special initiatives for the Friends such as lectures, meetings, concerts abroad, Festivals etc. You will be invited to a rehearsal of the Collegium Vocale Gent and to a meeting with the staff. You can enjoy interesting discounts in pre-sale for concerts in DeBijloke, deSingel, the Koningin Elisabethzaal, Concertgebouw Brugge, etc. through early group purchase. You can support Collegium Vocale Gent with a tax deductible gift (for Belgian citizens only). These donations are optimally spent as part of the working budget. From € 40 you will receive a tax certificate for this in the personal income tax that entitles you to a tax reduction of 45% on the sums paid. Any donation can be made to account number IBAN BE08 8939 4405 7013 by VDK Bank on the name of Collegium Vocale Gent with the message ‘Gift’. Collegium Vocale Gent in your will. Duo-legacy : In addition to family and friends you can also include a charity in your will. Thanks to a duolegate you can support Collegium Vocale Gent and all benefactors will pay less inheritance rights. As a business partner your company support the overall artistic grow of the Collegium Vocale Gent and you give the Collegium Vocale Gent the opportunity to create a long-term vision. We are looking for partners who want to make a commitment for the next four years. The return on investment will focuss on the entire concert season in Bruges, Ghent, Antwerp, Paris, London…of Collegium Vocale Gent but is also possible at the summerfestival Collegium Vocale Crete Senesi. For more info or if you wish to subscribe to one of the proposed formulas, please contact us.